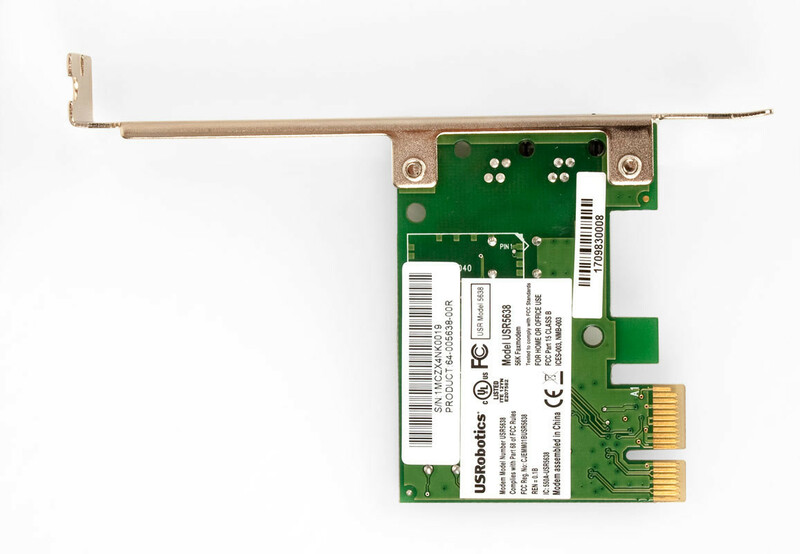 Us Robotics 56K V.92 PCI Express Faxmodem Simple, affordable PCIe to fit any PCI Express slot USRobotics now offers another form factor for internal modems, PCI Express. 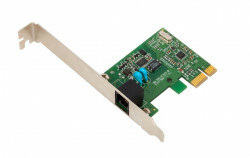 The USRobotics 56K PCI Express Faxmodem (PCIe 1.1) is a single lane (x1) express card with both full height and low profile brackets and will fit into any available PCI Express slot. It is also broadly compatible with Windows including 64 bit and server systems, using the CPU of the host computer for high compression throughput due to direct parallel access. 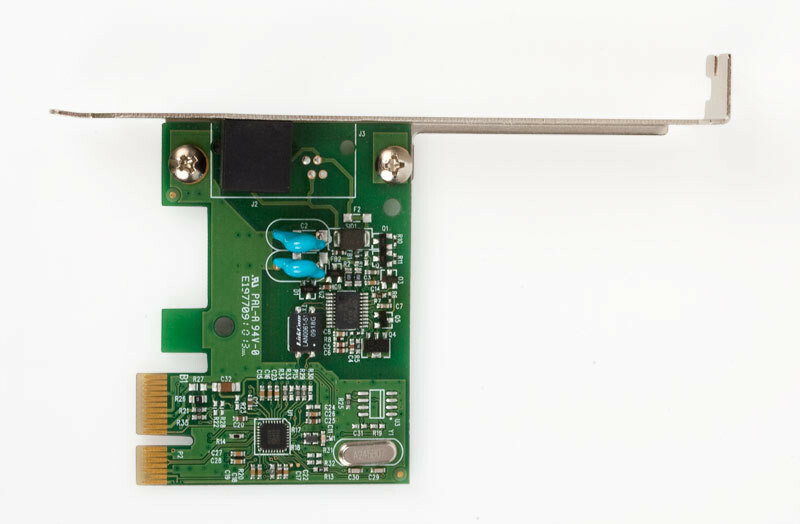 The PCI Express Faxmodem is fully compatible with V.92 and lower rates, making it ideal for compact POS solutions that only require V.34. PCI Express: - Supports PCI-Express revision 1.1 standard; - Single lane card fits any PCI Express slot, with any lane size; - Full height and low profile PCI brackets included. Advanced features and functionality: - Send and receive faxes through your computer while running other applications; - Permanently store preferred modem default settings; - Wake-on-ring and Caller ID support. Get the speed you need: - Quick Connect (V.92) reduces the time it takes to establish your dial-up Internet connection; - V.92 lets you send attachments up to 50% faster. 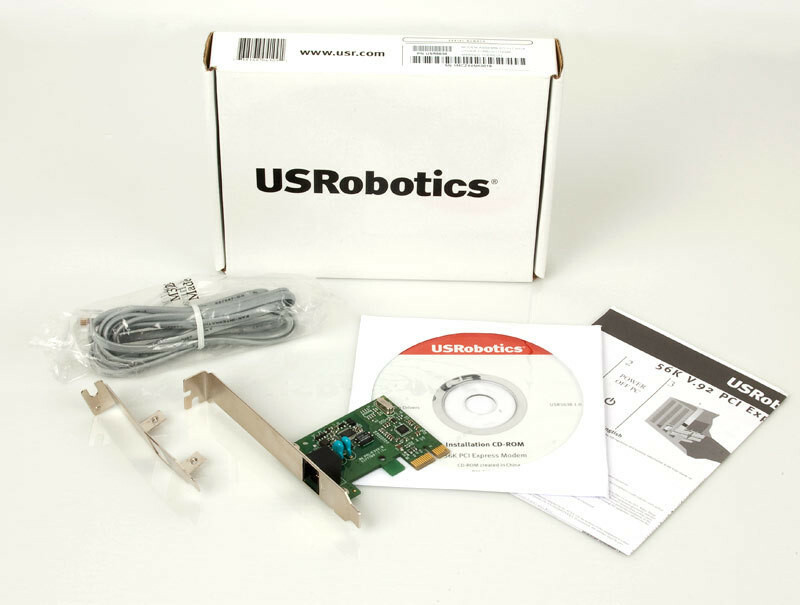 Simple three-step installation: - Your USRobotics modem is so easy to install and use, you’ll be up and running in no time! Our Quick Installation Guide makes installation as easy as 1-2-3. Excellent Compatibility: - Compatible with Windows XP/XP 64 bit/2003/2003 64 bit/Vista/Vista 64 bit/Server 2008/Server 2008 64 bit/Win 7/Win 7 64 bit; - Compatible with Windows Embedded POSReady 2009; - Common driver across multiple Operating Systems. Global Approvals: - US and European regulatory approvals; - Qualified for additional worldwide regulatory approvals, license fee for full approval.